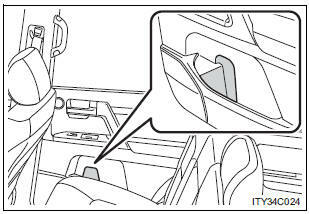 Glasses may be deformed by heat or cracked if they come into contact with other stored items. Lighters or spray cans may explode. 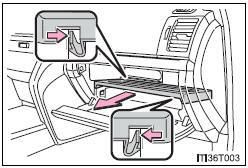 If they come into contact with other stored items, the lighter may catch fire or the spray can may release gas, causing a fire hazard. Pull out the separate tray. 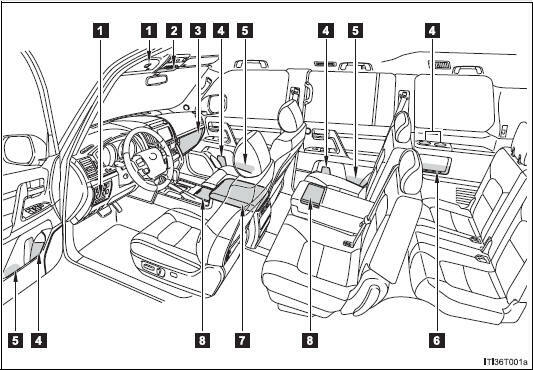 Keep the glove box closed. 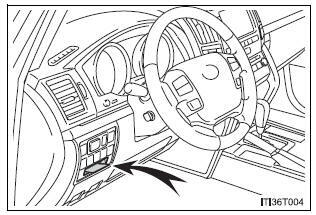 Injuries may result in the event of sudden braking, sudden swerving or an accident. 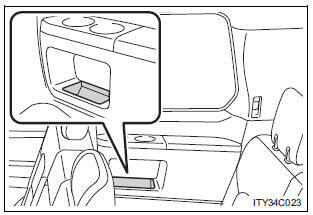 Your vehicle is equipped with either a lower console box or cool box. 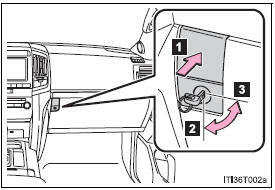 For vehicles with the cool box, refer to page 475. Press the tab to open. Lift the lever to open. Keep the console box closed. 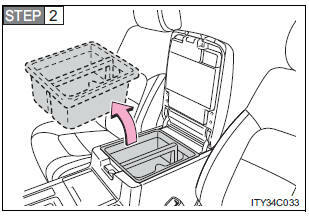 The overhead console is useful for temporarily storing small items. Do not store items heavier than 0.4 lb. (0.2 kg). 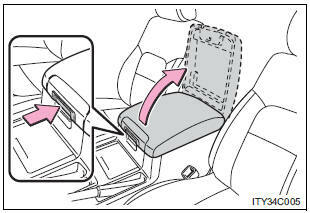 Doing so may cause the overhead console to open and the items inside may fall out, resulting in an accident. 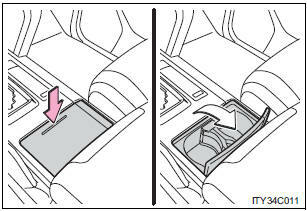 Do not leave the overhead console open. 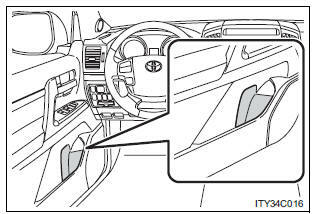 Items may fall out and cause injury. 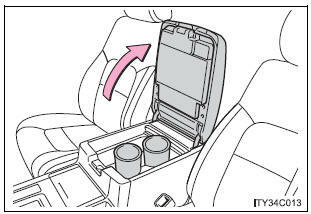 Press down and release the lid. 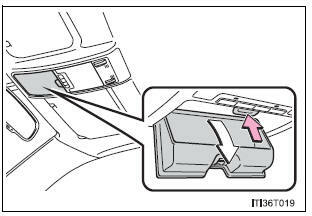 You can adjust or remove the separator inside. 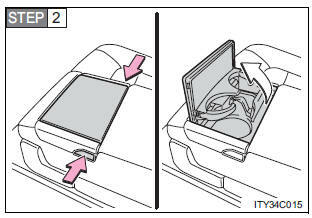 Open the lower console box lid. 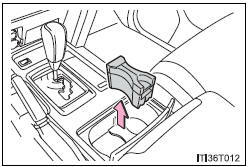 Keep the cup holders closed. 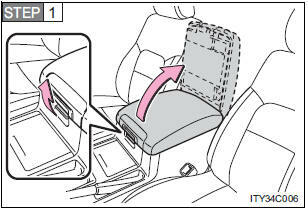 Stow the cup holders before stowing the rear armrest.